Certified original Mifare cards at the best prices. 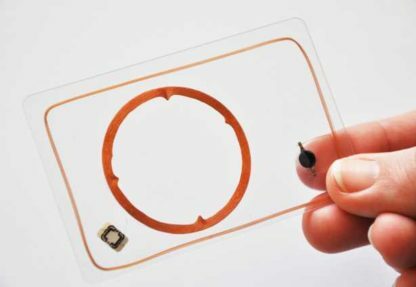 We supply and pre-print cards incorporating original NXP manufactured MIFARE RFID or contactless smart cards. We source all our RFID chips from NXP certified vendors. It is important to note that fake or “compatible” MIFARE cards do exist in the market. They are predominantly of Chinese origin due to the lack of IP right protection afforded there. While not illegal in China, the importation, distribution and use of these fakes is illegal in South Africa. NXP reserve the right to protect their brand and Intellectual Property thereof. The cheaper fake cards do introduce an element of security risk to the buyer by not having the same security protocols to prevent cloning, duplicates and general failures. If you are unsure of the card you are using on your system feel free to bring it to us and we will use our analyser units to identify the correct chip for your application. 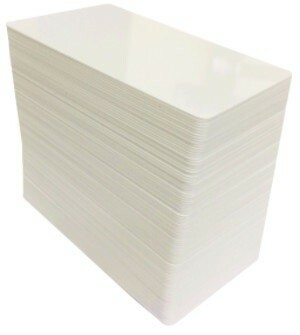 We carry a wide range of the cards which are are available in plain white for use in all good ID card printers. Alternatively in our production factory we can pre-print RFID cards. We print the card design, which may also include photo ID, security features and variable data, onto thin sheets of plastic. These are then applied to a core sheet of plastic. 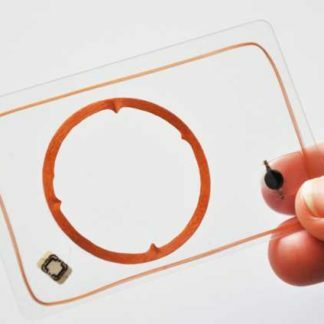 This core sheet already contains the embedded microchips and antennae for RFID in position. A further layer of clear PVC acetate is applied over the printing layer for protection. The resulting final set of 5 layers are laminated into a solid sheet and the cards are finally punched from this sheet. The result is a true edge to edge, pre-printed card of bank card quality and durability. A full list of MIFARE chip IC’s can be found here. MIFARE is the NXP Semiconductors-owned trademark of a series of chips widely used in contactless smart cards. The MIFARE name covers proprietary technologies based upon various levels of the ISO/IEC 14443 Type A 13.56 MHz contactless smart card standard. According to , 10 billion of their smart card chips and 150 million of their reader modules have been sold. The technology is owned by NXP Semiconductors.